The Season of Lent commences Ash Wednesday, February 18, with the Christian faithful receiving ashes and meditating at the Gethsemane altar 7-8am, 11:30am to noon and 5:30-7pm. 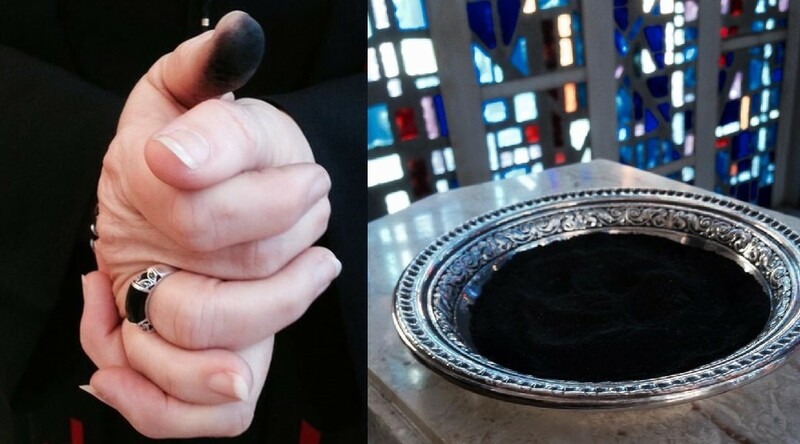 Ash Wednesday Eucharist at 12 noon and 7 pm. “Strength for the Struggle” is the 2015 Lenten Theme. 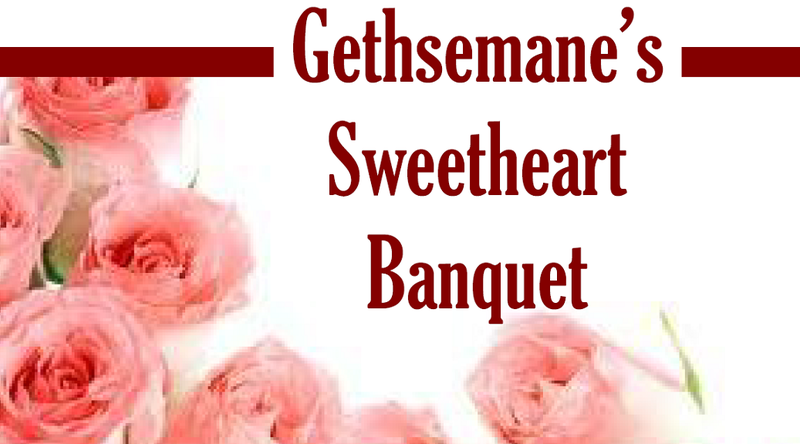 All are welcomed, friends & neighbors, to Gethsemane’s Sweetheart Banquet! Bring pocket money for tips and flowers! Tickets go on sale Sunday, January 18th, 2015 and will be sold every Sunday and at Midweek Connections on Wednesdays until they are sold out. Contact Belinda at info@gethsemaneaustin.org to reserve your tickets! San Lucas is celebrating their 27 year history and Gethsemane has been a part of that ministry for about 21 of those years. This is a special “encounter” or “encuentro” weekend for Gethsemane and San Lucas congregations to work side by side and expand our vision of ministry together. All are “Called by Grace” to participate: youth, singles, couples, those with and without children, from the very young to the not so young. There is something for all levels of ability. Youth under 18 are asked to have a parent or guardian along for the weekend experience. “Led by Faith, Welcoming all to Share God’s Love.” This is a great opportunity to work, worship, eat, and share together with the community of San Lucas. 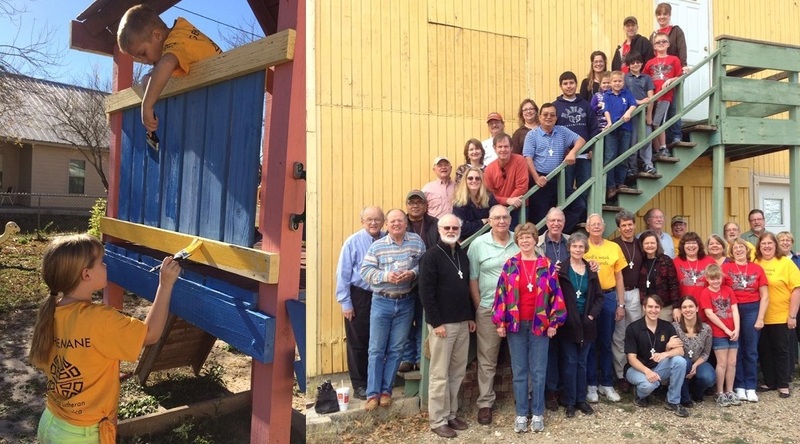 This mission trip includes the installation of a 2800 gallon rainwater capture system, construction of raised garden beds for a community garden, a remodel of the current food pantry to a new client-served pantry, a modified Bible School and Spanish worship Sunday morning. We are in need of volunteers to coordinate and prepare meals including the San Lucas/Gethsemane community dinner. Brochures are available in the narthex. Be ready for some special fun this year! 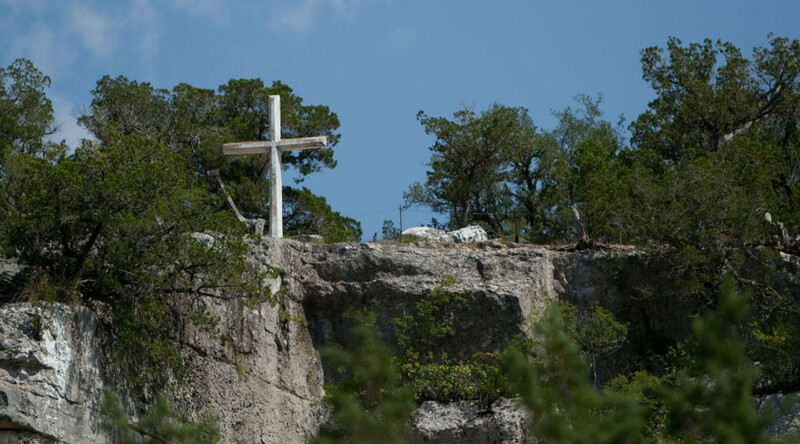 February 28 – March 1 is the 33rd annual retreat at Camp Chrysalis (near Kerrville, Texas) for the Family of Gethsemane. Please consider being part of the fun! This is a very special opportunity for friends and all members of the congregational family: singles, couples, those with and without children, from the very young to the not so young in years, but all young in spirit. 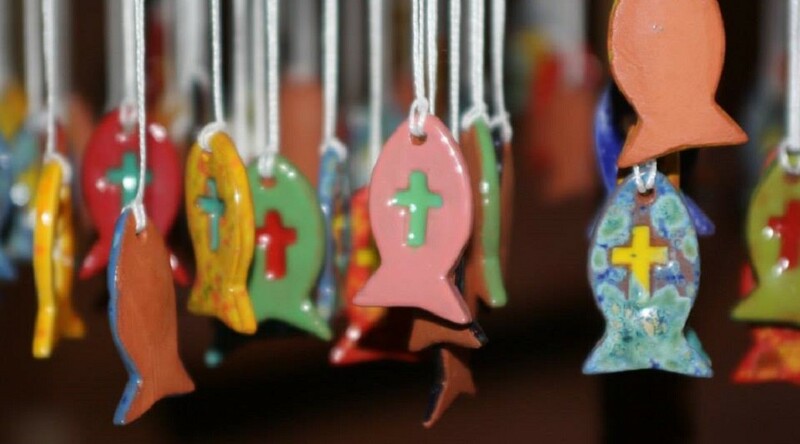 All are “Called by Grace” to come enjoy a relaxed, informal time, to share thoughts, histories, dreams, conversations, laughter, songs, the bread and wine of communion, the fresh air of the hill country, and good food. “Led by Faith”, you may climb to the cross on the mountain, read your Bibles, play, eat, visit, and rock on the porch. “Welcoming All to Share God’s Love”, we will meet new friends and have time to relax and be with those we may not know so well. This is a great event to invite friends to share in the family life of Gethsemane. Please print the 2015 Family of Gethsemane Retreat Brochure and return to Pastor Susie or Intern Sharolyn by February 22nd. Waiting is just so hard, isn’t it? 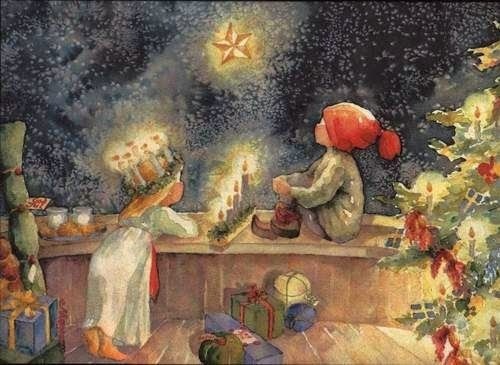 And yet every child knows the wonder-filled delight of waiting through Advent for the baby born in Bethlehem. Children, of every age, are invited to the Children’s Advent Festival on December 14th at 9:30am in the Multi-Purpose Room. Children will hear the story of the Prophets, the Holy Family, the Shepherds, the Angels, and the Magi told by St. Nicholas and St. Lucia. It will be a festive morning for all ages, with refreshments, goodies, song and story! Don’t miss it. Children preparing to help tell the story through play acting and song, are invited to special rehearsals during the Sunday School hour on November 30th and December 7th in the Multi-Purpose Room. 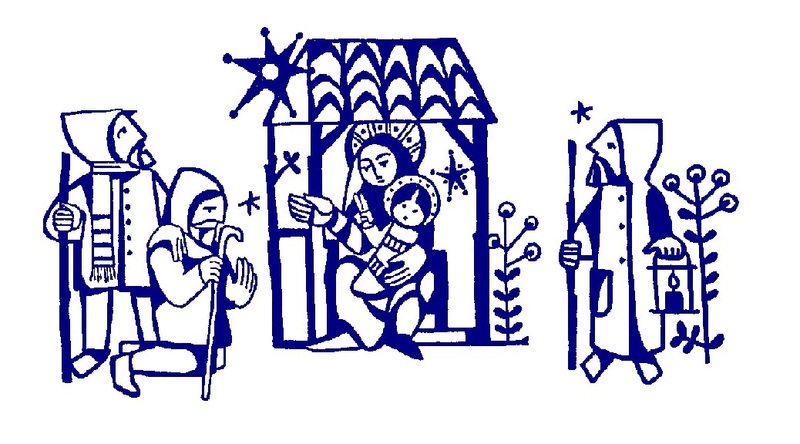 The Advent Season is a time of preparation for the 12 day Festival of the Nativity of our Lord. Advent Midweek Connections invite the Gethsemane faithful to prepare for Christmas on December 3, 10, & 17. 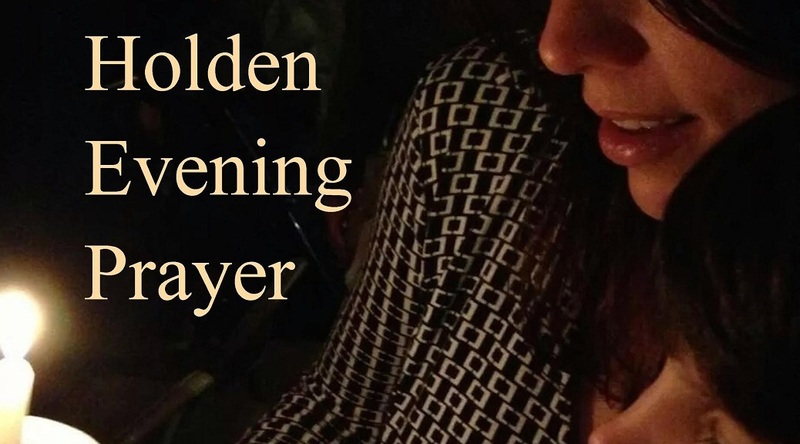 We will worship, with song, Word and Communion, through the Holden Evening Prayer vespers at 7pm. Viola Hall & Beverly Helsel continue the Advent tradition of soup, sandwiches and cookies beginning at 5:30pm. There will be activities for the children, table discussion for adults and confirmation classes, worship and mentoring. Thanks to all who have participated throughout the Fall Midweek Connections. This has been a time of Christian community on Wednesday evenings with delicious meals, catered by Mark & Alice Mueller; excellent learning opportunities with Intern Sharolyn Browning, Dar Krenek, Jim Riley, Lee Schnelle, Pastor Susan Schnelle, music with Joann Gerbig; meaningful worship and mentor time. Mid-week Connections classes will resume again on January 14, 2015. “Adult Confirmation” will continue in the Steffans Parlor, 11 a.m.
Come and prepare for the Christmas Festival. Christ the King Sunday concludes the church year. 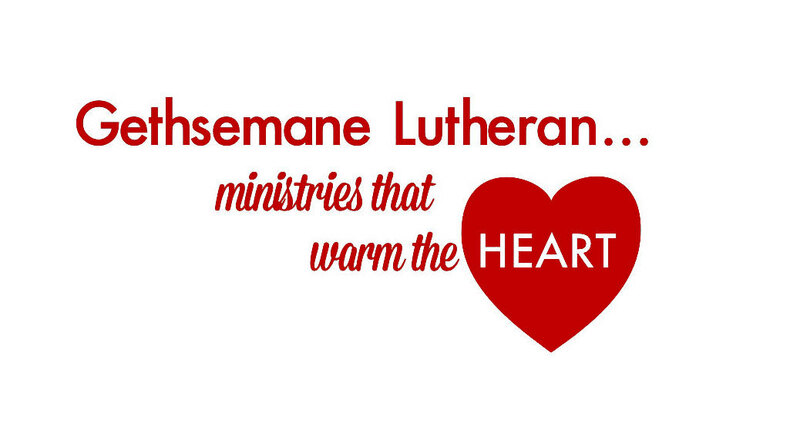 This is the time for the Gethsemane community to look to the past giving thanks for faithful stewards and look to the future encouraging every person within the Gethsemane Lutheran community to make a pledge commitment for 2015 ministries. Everyone is needed! Everyone has talents, time and treasure for ministry.